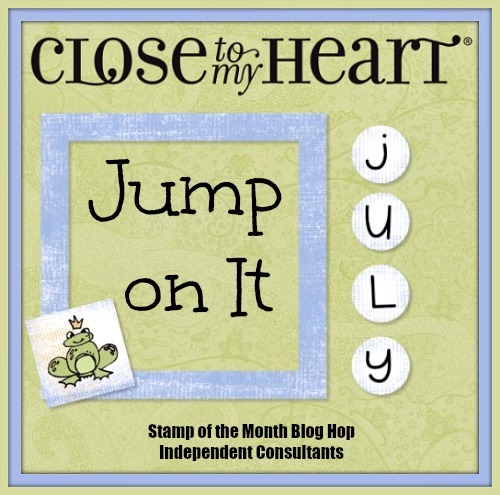 Welcome to our blog hop celebrating the "Jump on It July" special!! If you arrived here from Paige's blog, you're on the right track. If you get lost along the way, you can find a complete list of hoppers here. This month only, with a $25 purchase of regularly-priced stamps, you can buy any current Hostess Reward stamp set for $5 or you can receive the July Stamp of the Month for FREE! 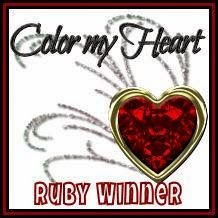 Here is my project, created using the Tagged with Love set. I cut the box from page 71 on the Artiste Cricut cartridge. Even though the instructions say to cut this at 5", that turned out to be WAY too small for the tag, so I just adjusted the height in Design Space to 7". I think it turned out just adorable!! All the papers came from the Confetti Wishes Paper Packet. Ink colors are Pear, Pacifica, Canary and Thistle. So bright and fun!! 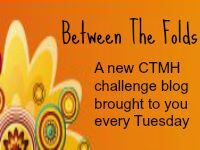 Now, hop on over to Tina's blog to see what she's created for you! Beautiful container and love the way you used Tagged With Love!! Wow, this turned out so cute! Great with the Confetti papers! Great idea and finished product! What a great gift box and tag! Great gift and "Tagged with Love" is a great stamp set. I like how you inked the edges and middle section. 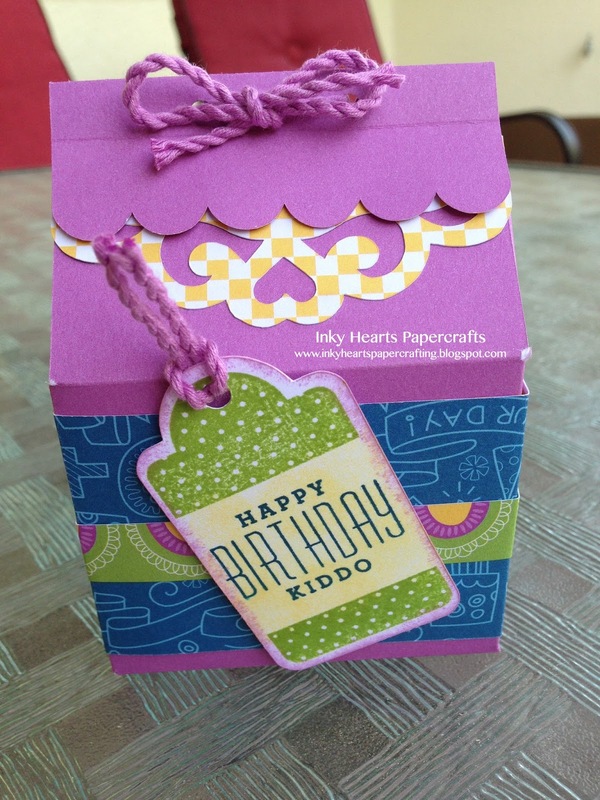 Stinkin" cute box and tag! ADORABLE box and CUTE tag! Great gift box and tag. Perfect for anyone's birthday.